Fred Fellows is a fine contemporary American Western artist who created some excellent bronzes. 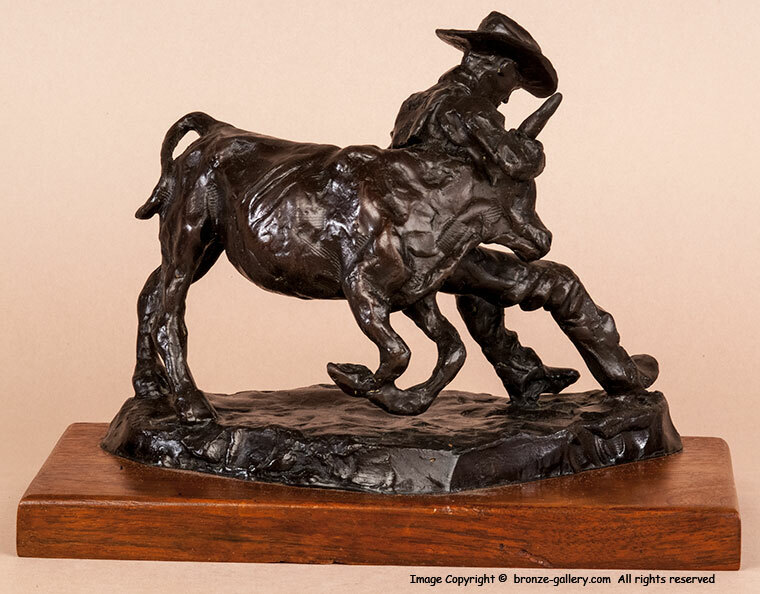 Along with his larger sculptures, he did several smaller models of Cowboys at work roping calves and riding broncs. 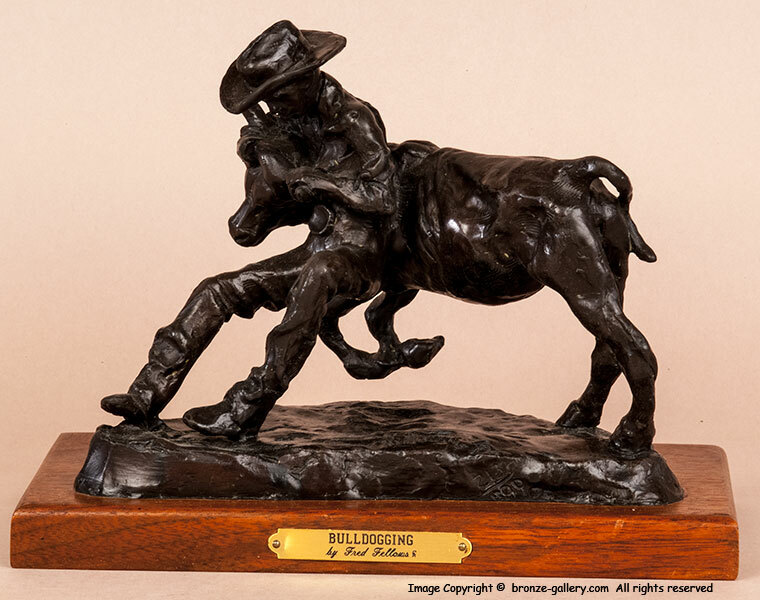 This bronze is titled "Bulldogging" and shows a Cowboy throwing a Calf, it is a limited edition number 213 of 500 casts. The bronze is mounted on the original walnut wood base which measures 9 inches long by 3/4 inch thick.